Sadly, Halloween 2013 has come and gone. Hopefully it was a rowdy, fun-fest for everyone! 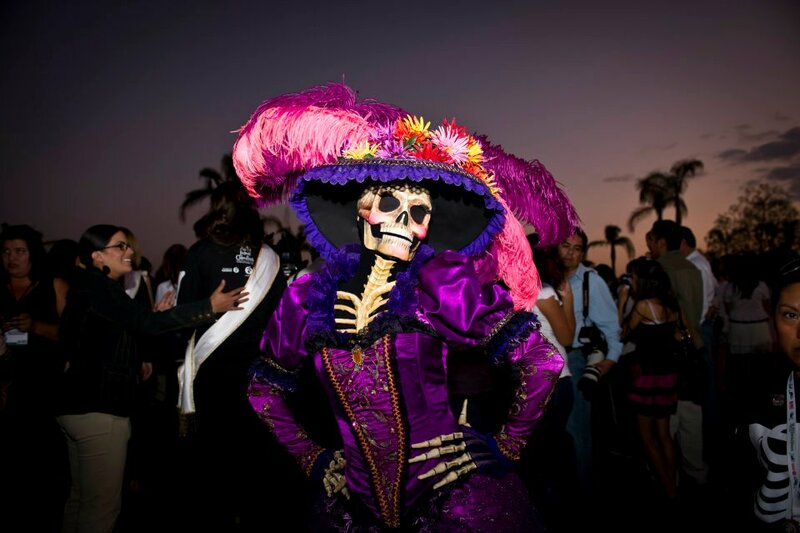 Since Halloween is quickly followed by Dia de Los Muertos, I know the celebrations will continue into this weekend! (I was totally going to attend a rum-tasting graveyard party, but two of my friends just got engaged, so I’ll have to party in a graveyard some other time. NBD.) I know there are some post-Halloween parties being hosted as well, and I am excited to see the results next week! In the meantime, however, since it has been requested, here are a ghoulish gathering of some of the best Halloween costumes this year (that haven’t made appearances in previous posts and are currently available) AND info about Day of the Dead! Heidi Klum wins Halloween AGAIN by dressing up as a (stylish) old woman, and hosting the best party in NYC. 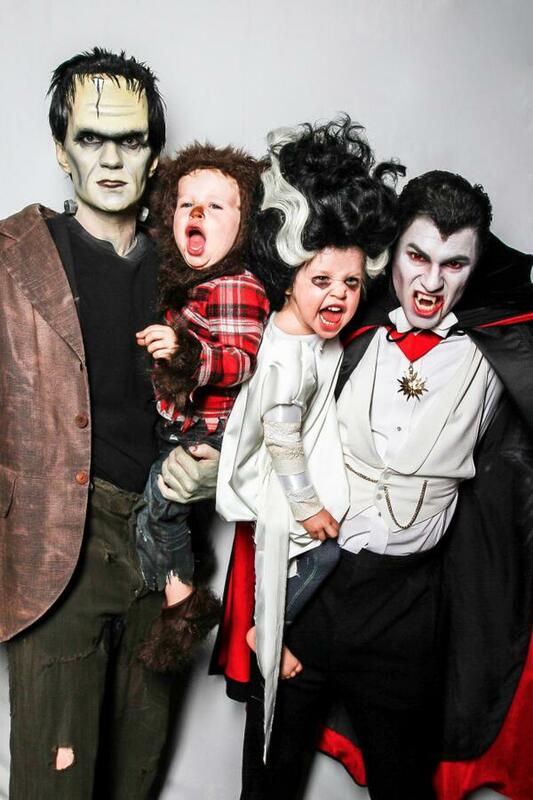 NPH and Family’s official Halloween 2013 costumes are AMAZING! 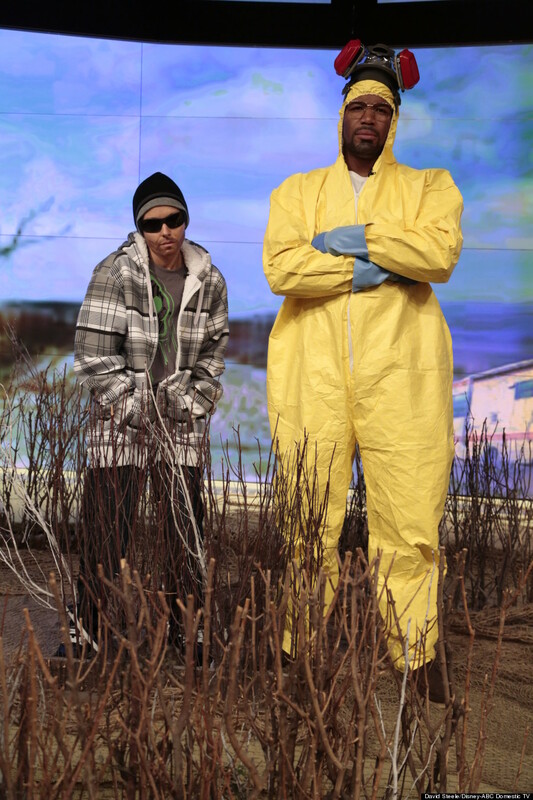 “Breaking Bad” has been an appropriately popular theme this year, and they both look great! Kelly as a dude is hysterical. Sharknado! Kelly’s vacant Tara Reid is hilarious-mazing. It’s KIMYE!!! Again, perfect, and Kelly looks like a pretty credible Kim Kardashian! Other celebrities did really well, too! Glee’s Chris Colfer (and Company) created a decidedly incredible (totally gayed up) Star Wars! LOVE THE CAT!! This is pair of “Twins” is adorable, regardless of whether or not Nicole Ritchie is friends with Paris Hilton. In case you haven’t already been blessed by this fantastic photo of Sir Patrick Stewart, in a bathtub, dressed as a giant lobster, here you go. You’re welcome. This guy’s Van Gogh is intense and so incredibly well done! After my stint in “blue face” I am much more appreciative of the effort full makeup takes! Amazing “Cast Away” couples costume! “Django Fett Unchained” – Love the insane mixture of two characters/genres/ideas/outfits! These group costumes are all WIN! And anything that includes Mugatu is perfection. Snow Walter White is pure YES!!! An amazing classic! No idea how she did this, or how she maneuvered all night, but you go, blueberry girl! 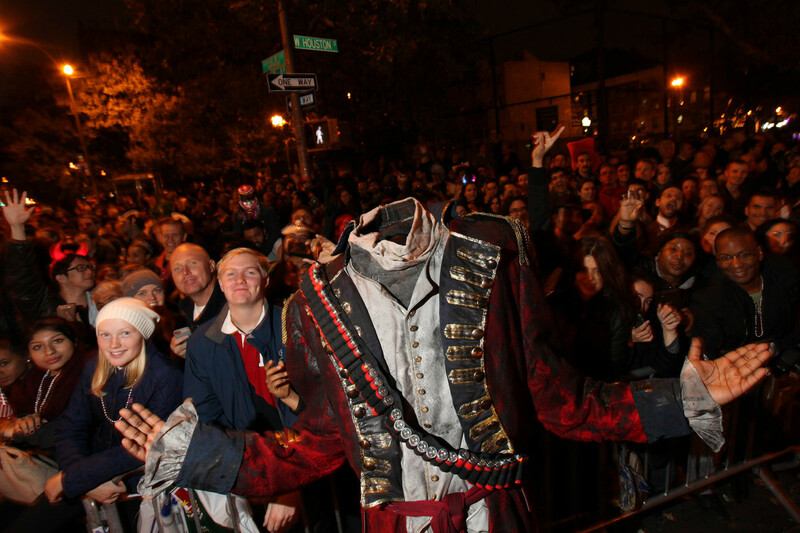 A seven-foot tall Headless Horseman! Gigantic, amazing, creepy, dancing skeletons! WANT! 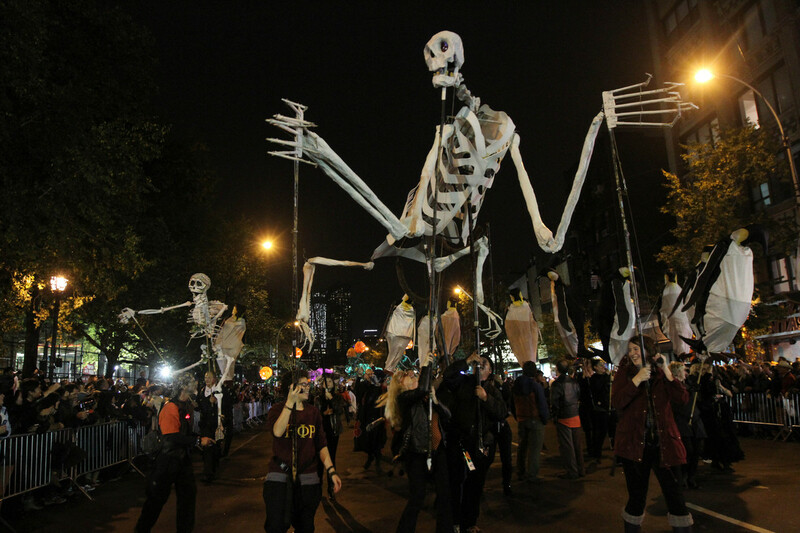 These enormous skeletons are a great transition to a brief discussion of Dia de Los Muertos! Basically, the Day of the Dead is a traditionally Latin holiday (celebrated intensely in Mexico) that combines the beliefs of indigenous populations with Catholicism to create a delightful celebration of life, death, and the connection between the two. This calls for skulls! LOTS of them. Even famous artists get in on it! Damien Hirst, especially. 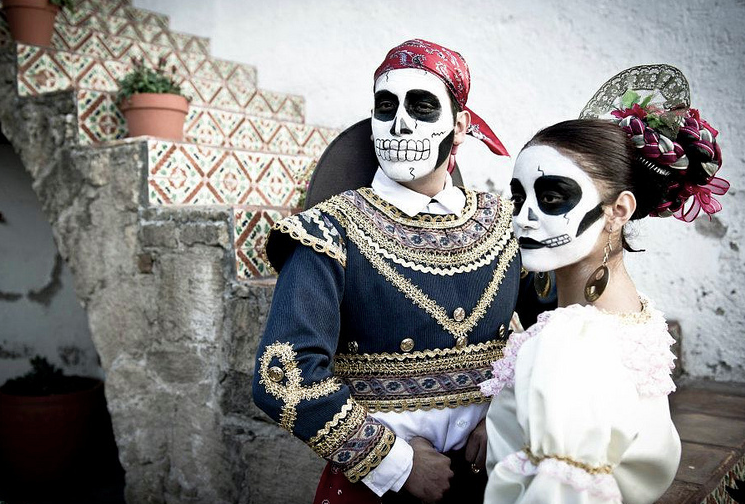 So, if you don’t want the wonderfully macabre to fade into the overwhelming Christmas fog just yet, find a Day of the Dead celebration to attend! In Houston, there are all sorts of fun events going on. I know Casa Ramirez Imports in the Heights always has a wonderful Dia de Los Muertos display, and some sugar skull-creating classes, or molds to purchase! 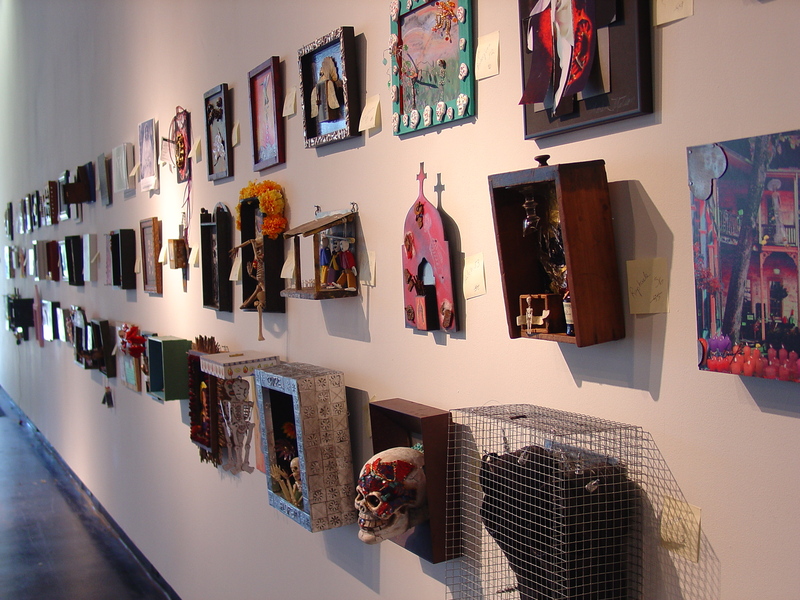 The Lawndale Art Center is currently celebrating it’s 26th Annual Day of the Dead events. The retablos are remarkable, and they go up for auction! So many!!! You get to pick your favorite(s) and bid! We only have a couple more days until the red and green JesuSanta beast is upon us like some kind of suffocating cheer-monster bellowing endless carols, and forcing people to drive like blind, coked-up yule goats. Take advantage of the time you have, folks! Also, take lots of pictures! Which is your favorite Halloween costume this year? (Pictured here or not!) How many parties did you attend? What did you wear?? 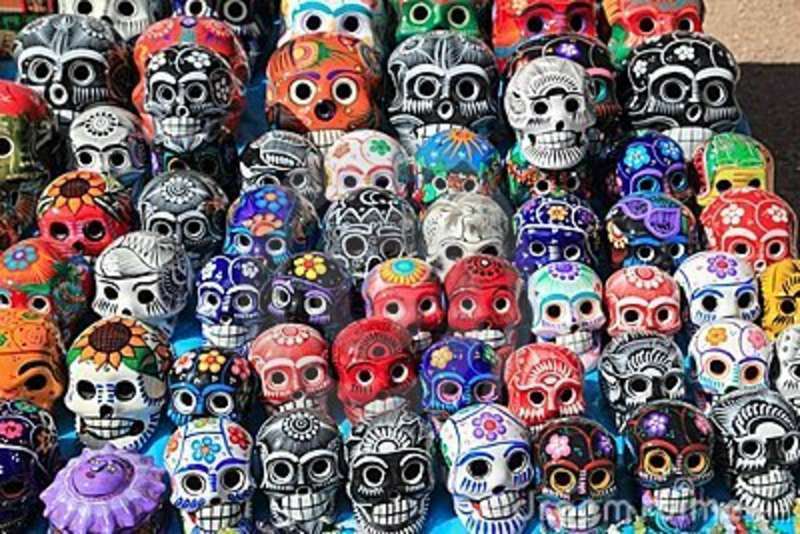 Do you celebrate Dia de Los Muertos? Next Post Behold! The Miss Universe 2013 National Costume Show! Thanks for indulging me, friend. That hit the spot. Bring on the JesuSanta!